New rules for easy church weddings….. 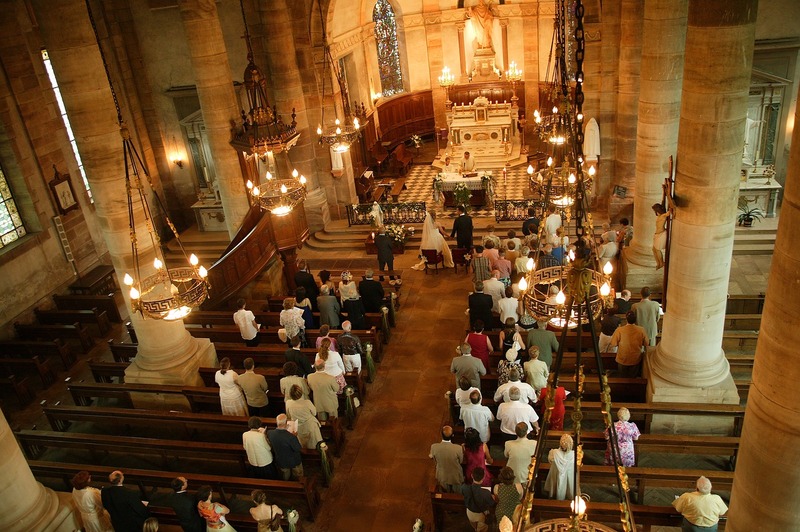 The Church of England has pledged to play a greater role in the marriage market as new legislation making it easier to tie the knot in a chosen parish comes into force. Couples hoping to get married will have a greater choice of churches to choose from under the Marriage Measure, which has become law, the Church of England said. Up until the law change, a couple could only marry in a parish church where one of them was resident or on the parish electoral roll unless they had a special licence from the Archbishop of Canterbury. The new legislation will allow couples to choose other churches where they have links, for example where one of them was baptised or prepared for confirmation. The legislation also includes the right for a couple to choose to marry in a church were one of their parents has regularly attended public worship for six months or more in their child’s lifetime. A couple might also choose a parish where their parents or grandparents were married.